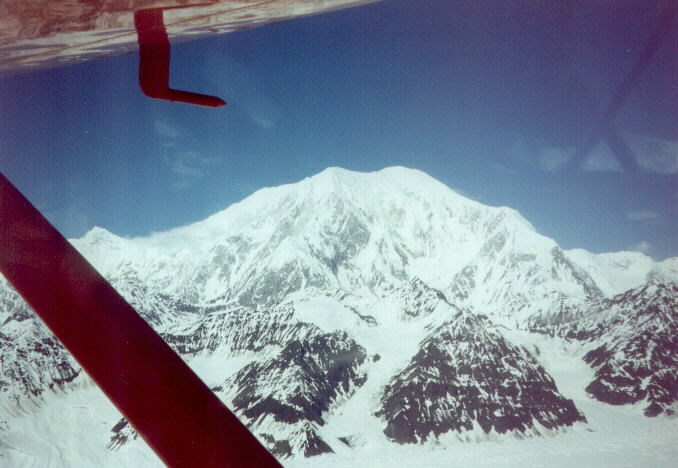 A couple views of the Alaska Range while flying in to Kahiltna base camp from Talkeetna. One more view from Hudson Air Taxi. 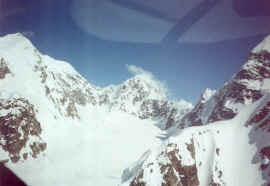 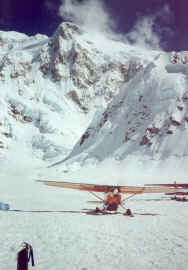 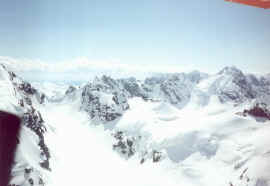 The south face of Denali. The Kahiltna airport, maintained by climbers walking around and stomping down the snow with their boots. Months of planning, preparation, and training and it is finally happening. 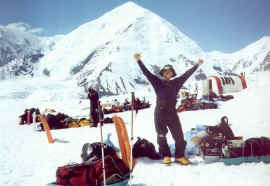 Javier Ybarra celebrates at Kahiltna base camp.